Women and their hook-ups, hang-ups and heartbreaks. 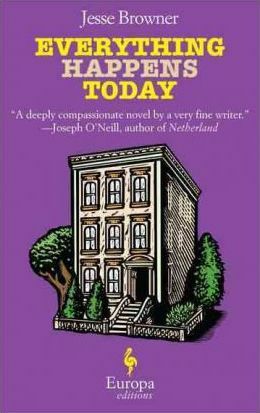 In eight stories that mix humor (often bitter) and dark revelations (often funny), Schapell creates female characters from teens to mothers, each coping, and not always successfully, with personal dramas as they grow older. Set in time from the 1970s to the present, these stories are about finding one’s identity without losing one’s soul. Schapell has a great ear for the way people talk – to others and to themselves — and a fine grasp of sardonic humor. This collection, whose characters range from college girls gone very wild to middle-aged mothers we’d love to comfort, offers much to relate to for women readers – and valuable, if unsettling, insights for men who want to understand women better. Schappell…is a diva of the encapsulating phrase, capable of conveying a Pandora’s box of feeling in a single line…[the] book crackles with the blunt, cynical humor wielded by people chronically on the defensive,” says The New York Times. “Despite the talent for arch comedy that Schappell and her characters share, the tragic dimension of each story sears the heart,” says Kirkus Reviews in a starred review. It’s available now in the library’s fiction department. James R. Benn, who lives in Hadlyme, has three loves: libraries, historical research and mysteries. Director of Godfrey Memorial Library in Middletown, he published his first “Billy Boyle” mystery in 2006, creating a brash young Boston detective turned military private eye for his uncle — who just happens to be Gen. Dwight D. Eisenhower — during World War II. Benn once told me in an interview: “For each book, I focus on a true, but little-known event, and wrap a fictional mystery around it to illuminate history and the effect on those who lived through it.” If that’s a formula, it’s working well for him. You can learn more at www.jamesrbenn.com. Soldiers are always at risk of dying, but in “A Mortal Terror,” they’re being done in by a sociopathic serial killer, not enemy forces. Lt. Billy Boyle is stationed in Italy during the bloody invasion of Anzio and is fighting a private war with a mysterious killer who is leaving red heart playing cards on the bodies of Allied officers and seems to be climbing the ranks with each new victim. Is the killer after Gen. Eisenhower? Subplots involve Billy’s girlfriend, Diana, who is a spy; his brother Danny, just recruited into the infantry; and the tragedy of combat fatigue, now called post-traumatic stress disorder. Benn has captured a national audience for his series. You don’t have to begin with the first one to enjoy the newest, though new fans will be happy there are more Boyle books available. Here Benn combines an intricate plot, lots of action and appealing characters, and while he supplies plenty of clues, he doesn’t make it easy to figure out who the killer is. The book also offers a vivid history of World War II for those readers too young to remember it and those old enough to never forget it. “Benn does a superb job of simultaneously capturing the personal anguish of war and creating a splendid adventure novel,” says Library Journal. “Solid wartime adventure, well grounded in historical detail, and boasting a challenging mystery to boot,” says Booklist. 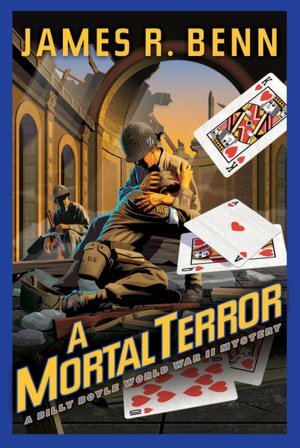 You can find “A Mortal Terror” now at the library. Today we’ll take a look at an uncommon thing: a novel begun by one writer and finished by another that manages to uphold the reputation of the fine author who conceived its intricate story. Dame Beryl Bainbridge, an English author, was still at work on her 17th novel when she died in July 2010, at 77. She grew up in an unhappy home in Liverpool, and for a time was an actress and later a theater critic before finding her true calling as a writer. Bainbridge published contemporary and historical novels, short stories and non-fiction in her long career, overcoming early rejections to grow into a respected novelist with an international audience. Several of her novels were adapted as films, including 1989’s “An Awfully Big Adventure” (1989) which became a 1995 movie with Alan Rickman and Hugh Grant. That novel and four others were finalists for the prestigious Booker Prize in England, and her “Every Man For Himself,” about the sinking of the Titanic, won the 1996 Whitbread Novel of the Year Prize, another major British award. 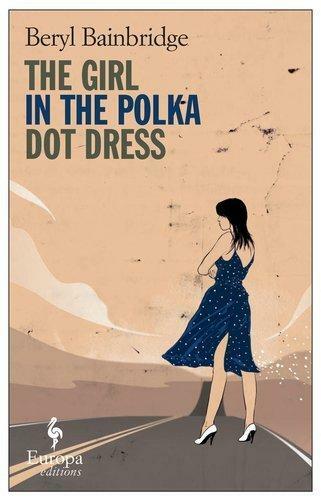 After her death, her editor completed “The Girl in the Polka Dot Dress,” and reviewers are calling it a successful collaboration. The searchers, traveling across America in that dreadful year of killings, war, racial turmoil and riots, are Rose, a young Englishwoman, and an American who calls himself Washington Harold: both are seeking an enigmatic man known as Dr. Wheeler, part of RFK’s entourage. He had helped Rose when she was a teenager, but he also had an affair with Washington’s wife, who committed suicide. Rose adores Wheeler; vengeful Harold hates him – and both want desperately to find him. “Curiously, its incompleteness doesn’t diminish this short, haunting novel… . The unanswered questions add to its mystery and strange power,” says The New York Times. “…you’ll almost certainly enjoy Beryl Bainbridge’s dry humor and her book’s pervasive sense of menace. It’s an odd combination, but Bainbridge brings it off beautifully,” says the Washington Post. “…for lovers of Bainbridge’s oeuvre, this is the book that places the period at the end of her life’s work and shouldn’t be missed,” says Publishers Weekly. “Both vivid and dark, this page-turner is sure to be sought after by both historical fiction and mystery lovers. Highly recommended,” says Library Journal. “The Girl In the Polka Dot Dress” is on the shelves now at the Hartford Public Library. Welcome to the first week of Under the Covers, the blog that tells you about interesting books newly added to the shelves of the Hartford Public Library. I’m updating it each Tuesday and Thursday, and welcome your comments any day. You may not be familiar with Jesse Browner. I have to admit, this is the first of his four novels to catch my eye. But I expect that if audiences like it as much as the early book reviews do, he’s going to become much better known. Browner, who lives in Manhattan, is an award-winning translator of European authors, and a food writer, whose 2003 non-fiction book, “The Duchess Who Wouldn’t Sit Down: An Informal History of Hospitality,” was much admired. Many authors have tried to replicate the magic of “Catcher In the Rye,” and none have fully succeeded. But reports suggest Browner comes close in “Everything Happens Today,” which chronicles the first day of the rest of his life for Wes, a panicky 17-year-old private school student from Greenwich Village who has just lost his virginity to the wrong girl and gained a whole lot of turmoil. Wes’s mom is slowly dying, his dad has checked out emotionally, his adored little sister depends on him, he has a school paper due on “War and Peace” – and he’s trying to hold the family together, armed with an iPhone, a guilty conscience and the desire to do the right thing, if only he could figure out exactly what that was. No matter how old we are, we never quite forget the anxieties and agonies of being a teenager in love and trying to make sense of the world. Browner, with humor and a sure grasp of how kids express themselves today, captures this struggle deftly. As he takes Wes through his one-day journey from angst to acceptance, he provides a welcome reminder of life’s quirkiness and unexpected beauty. “Browner has crafted a stupendous, thought-provoking, devilishly delicious novel…” says Library Journal. “A light, modern and keen look at the discord between whimsy and prudence,” says Kirkus Reviews. “Thankfully, Browner avoids a saccharine resolution, opting instead to let Wes’s struggles work as a meditation on life, love, and disappointment,” says Publishers Weekly. It’s available now in the Fiction section of the Hartford Public Library.